Home » Celebrate » Valentine's Day » THE BEST Valentine Boxes! Do your children need Valentine boxes for school? 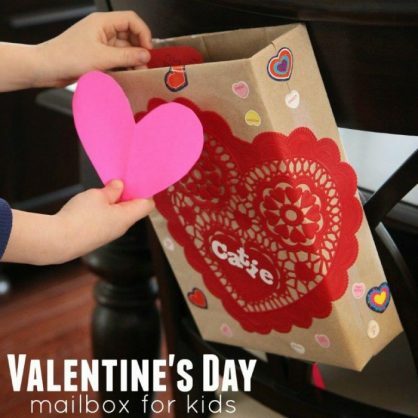 Kids will love to get crafty with these Valentine box ideas. They can also make their own fun Valentines for friends with these printable Valentine’s day cards! Here is a great list of ideas. Some of these boxes are simple and some take more time, you can choose how creative, and detailed you want to be. It’s a lot of fun to make a DIY Valentine box. 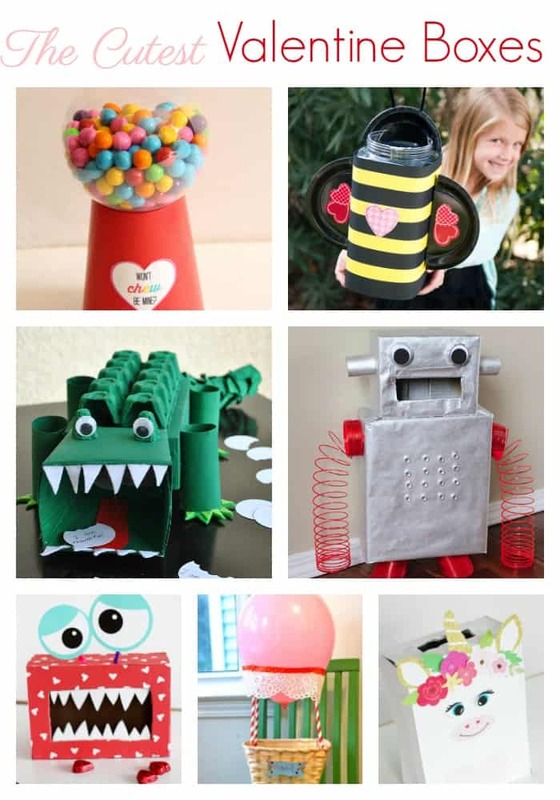 So many creative Valentine box ideas to choose from! Grab shoe boxes, construction paper, and some other goodies and let’s get started. It is easy to make a card box! 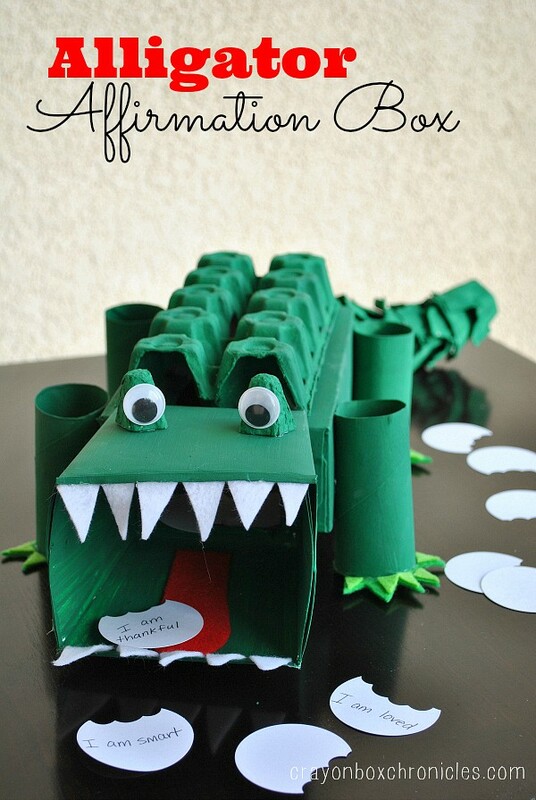 This Alligator Box turned out so cute! It may take a little time and supplies to put it together but kids will love making it and showing it off! If you are looking for a way to spread kindness you can take a spin on that too with an easy idea. Many of the following ideas are great Valentine boxes for boys. They are sure the love the toilet! Look at this super cute Valentine monster! 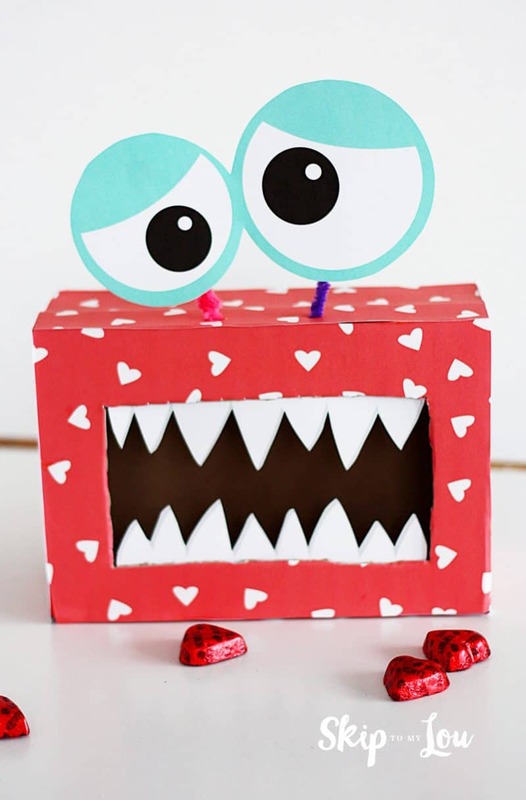 This Monster Valentine Box is the perfect card holder, plus you can create yours in a variety of ways with these free printables! 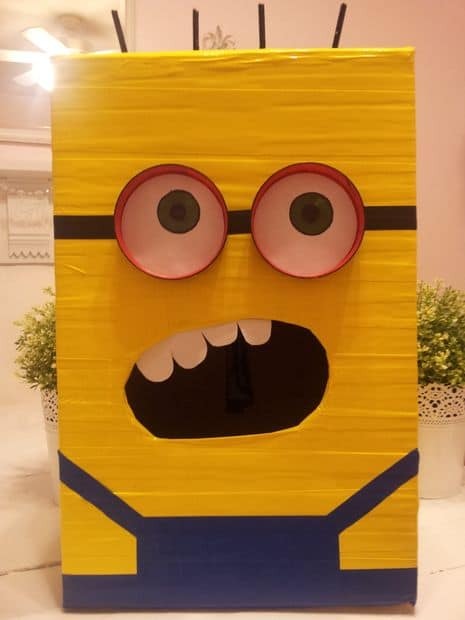 Minions never seem to go out of style, so why not take advantage of that and make a box (that can maybe even last more than one year). It doesn’t require much time or supplies, so it’s a great choice. Looks like yellow duct tape makes this one super easy and mess free! 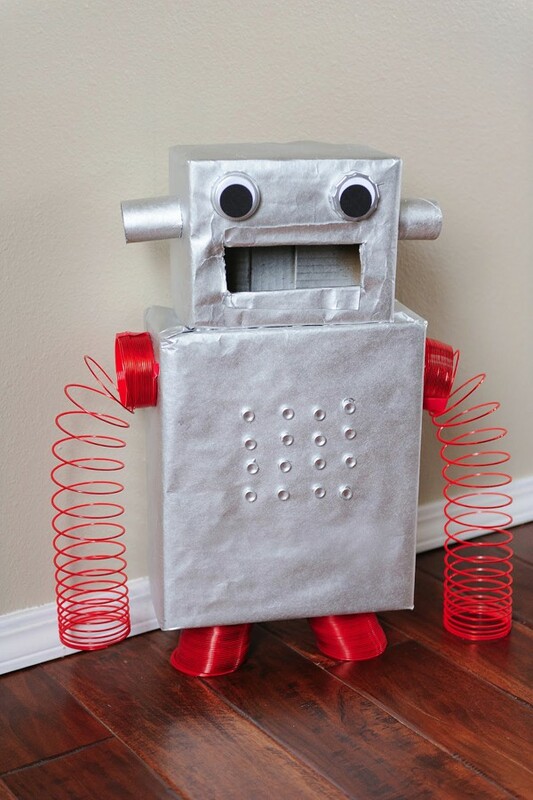 This robot valentine box is so much fun to make! Just grab a few supplies (and slinkies) and your child can actually make this. I love how it turned out. 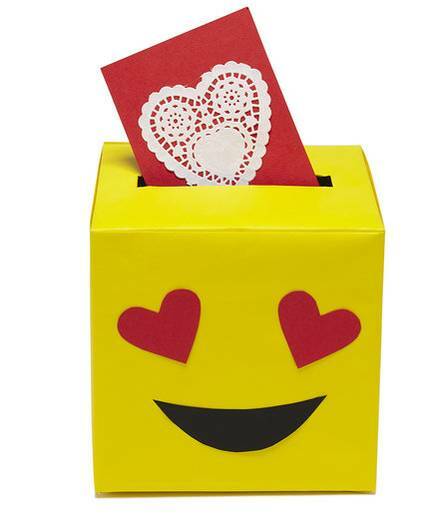 This flushing toilet valentine box is as little gross but is sure to bring out giggles and grins. Kids love bathroom humor. Do you have a basketball lover? 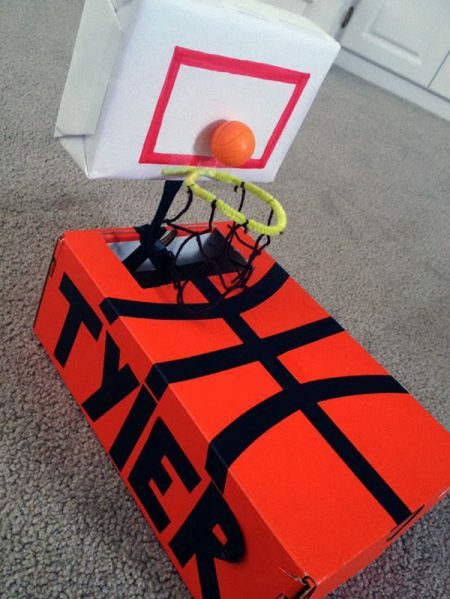 This basketball inspired box will be a real crowd pleaser. 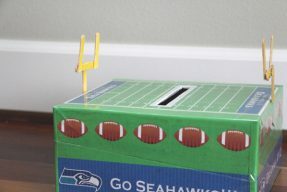 Your football lover can make this football valentine box all by themselves. It is a quick and cute idea any boy or girl would love. Who doesn’t love puppies? This dog has all the elements to make your child squeal. This puppy valentine box is so fun. 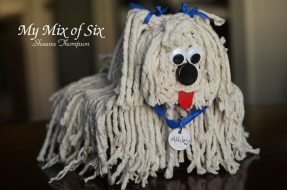 That mop makes it so unique. 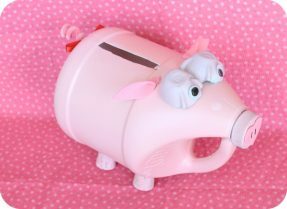 This pretty little piggy box is made from a Clorox bottle. Isn’t it clever? 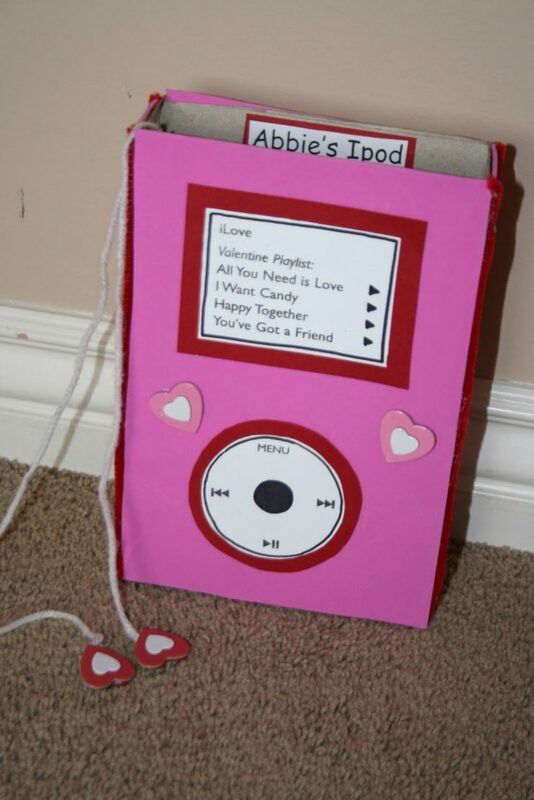 This iPod valentine box is so smart. Just print out a few things to make this one. 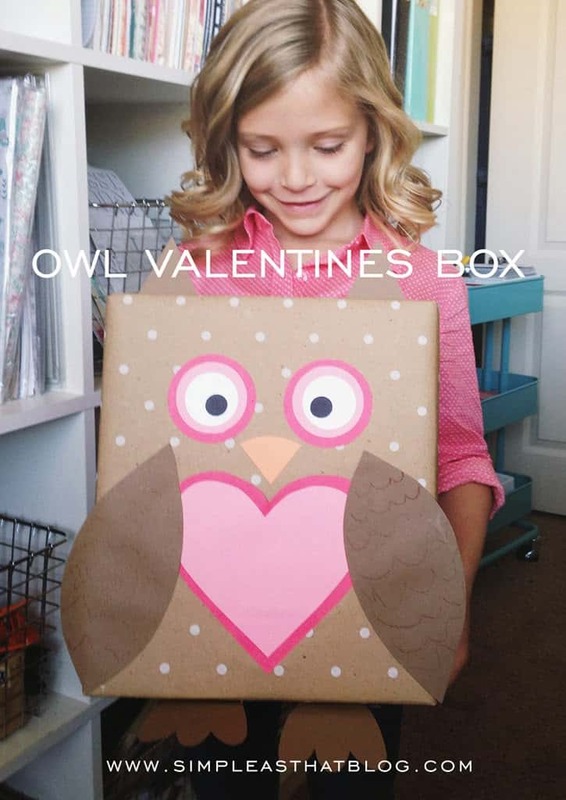 This owl valentine box is a simple enough kids craft that even a young child can make it. So whimsical and cute. Love unicorns? 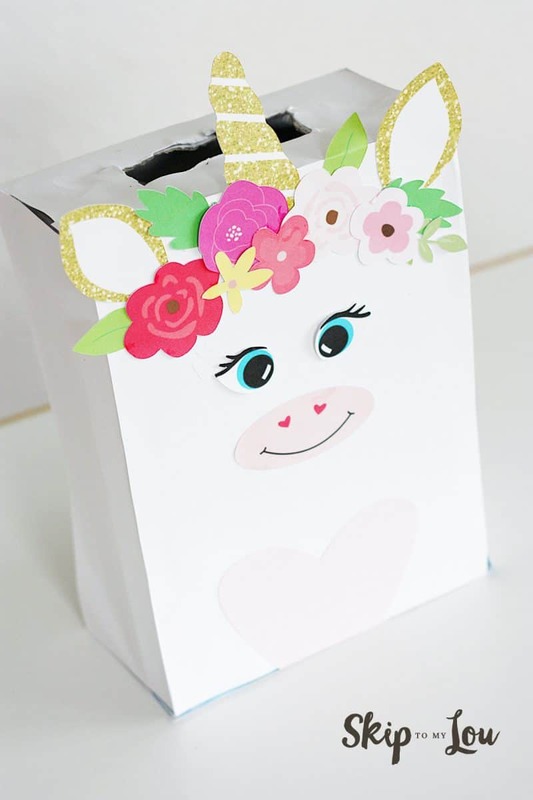 This unicorn valentine box is turned out so cute! They will love showing it off at school. This hot air balloon took only 20 minutes tops to make. 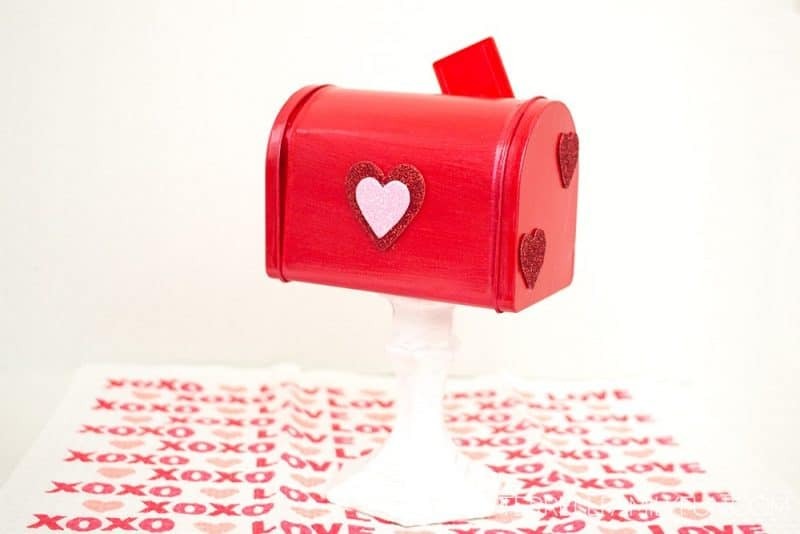 So if you are looking for an easy but show stopping Valentine box, this one is for you. 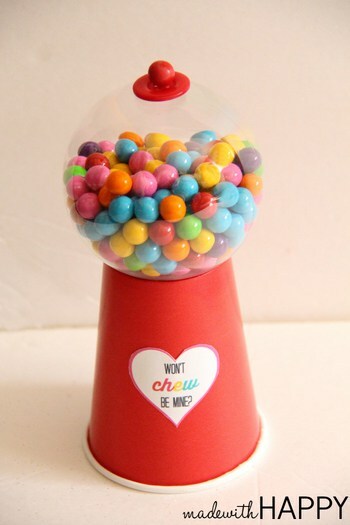 This is the gumball machine Valentine gives back! You can put a slit in the base for the cards and then gumballs in the top with a sign for anyone to take one! It’s a perfect give-and-take! All the kids will think this is the perfect Valentine box. 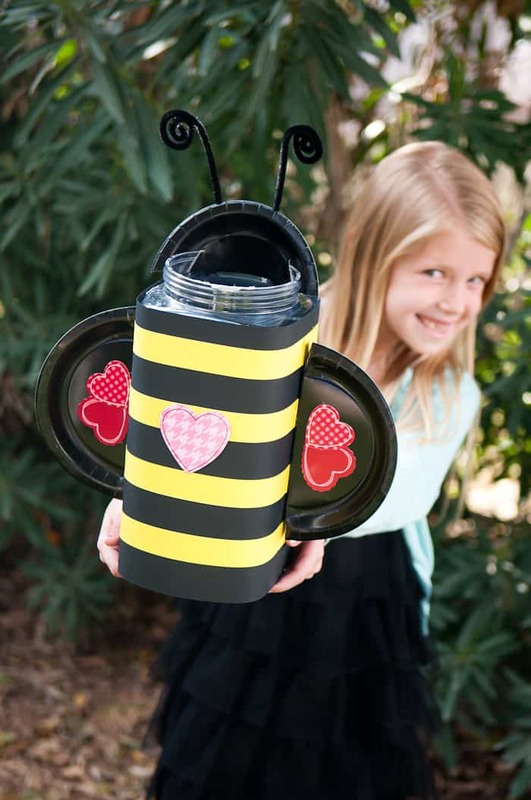 Kids will love making and wearing this bumble bee valentine box. Bonus it is big and can hold a lot of valentines and candy! 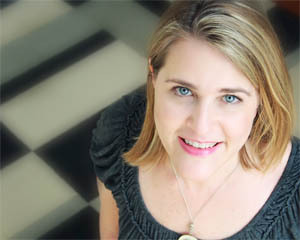 Do you need an easy last minute idea? 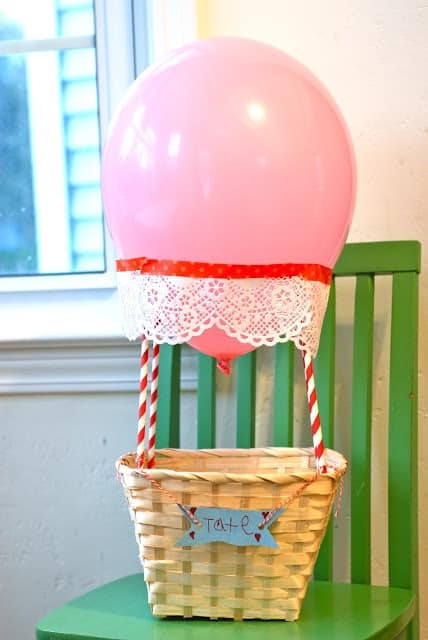 This cereal box chair backer can fit a lot of valentines and is very easy to make! I like that a child can make this all on their own. There are really a lot of ways to get creative with this idea. 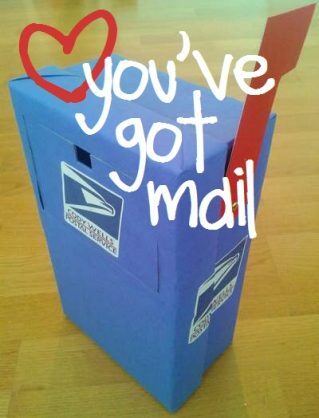 A shoebox makes this easy mail inspired US mail Valentine box. I love how you can open it and drop in your Valentines. What kid doesn’t love an emoji? This heart eyes mailbox is easy to put together. Superman mailbox. 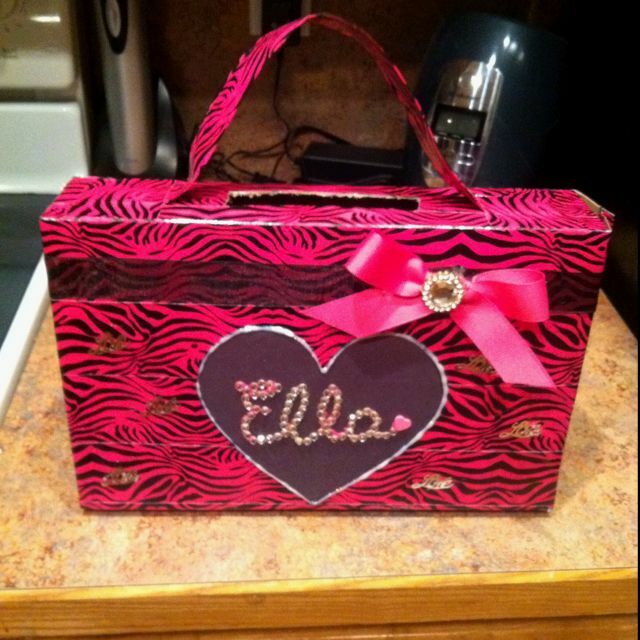 This valentine box has a great theme without a ton of work! You could easily modify it for a super girl too. A cereal box and some wrapping paper make this purse valentine box come together really easily! Add a little bling to embellish it however you want. 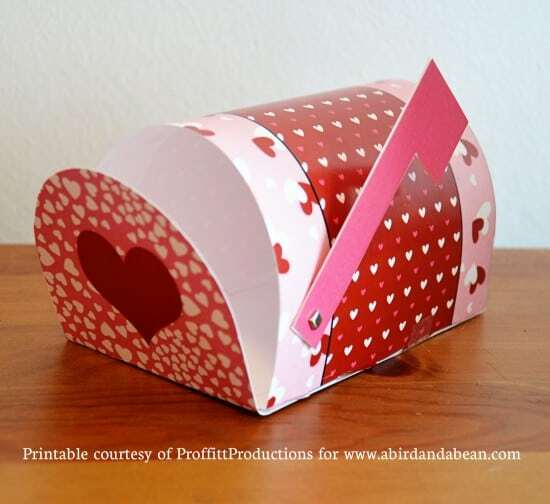 Here is a free printable mailbox you can make in several different patterns. I have also had great luck going to the craft store and simply buying foam stickers and letting kids make what they want over a covered shoebox! You don’t even have to craft holiday themes for it to turn out cute. 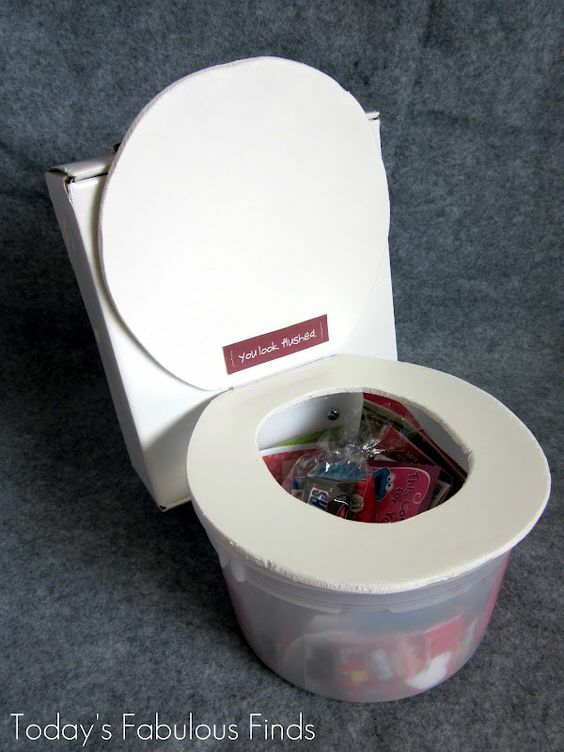 Michaels also sells kits for some pretty cute Valentine boxes, they come with everything you need to make a cute box. But do go early they sell out. 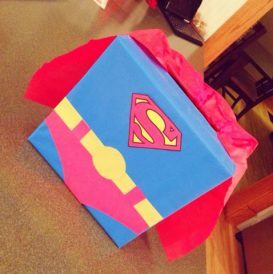 I hope you love all these creative Valentines day boxes! 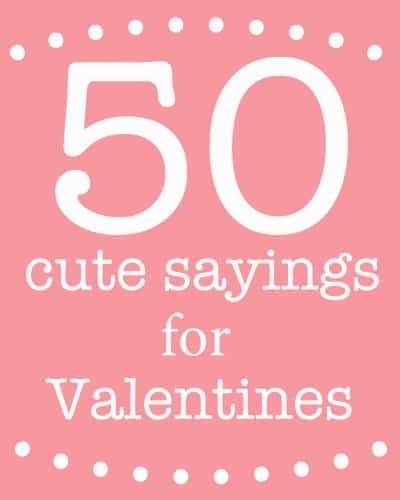 If you are looking for classroom valentines be sure to check out this post with 50 cute sayings for Valentines. Here is a huge amount of Printable Valentines. You are sure to find adorable Valentine idea here. I hope all these ideas help you have an inspired Valentines day!